Basically, there are shops everywhere around us. If you are living in the urban area, there are fruit and vegetable markets, grocery, cloths, electronic, furniture shops and many more. It really seems like the whole world is running only because of the production and consumption. On a regular base, we buy whatever we need to. For special occasions we feel like we need new clothes and shoes, we eat special food and we buy presents for our dear ones. The act of giving –gifts could be as old as humans and it is observed also from animals and especially from our relatives, chimpanzees. On a grand scale, governments were exchanging gifts as signs of peace and good will from ancient times. There is also a long history of using gift to express love and even longer giving-gifts is present to mark important life events like births, deaths, weddings and others. The idea of presents and gifts is actually beautiful. We show people that we care about them; maybe we buy them something that they have been really wanting for a long time. But today, gift – giving has been refined into a science, with gift registries catering to every type of person and event. Gifts become bigger, more expensive and on the other side –less personal and useful. The media is bombing us with all festivals offers and sales. Most of us are under stress before the festival season, thinking what to buy this year. Slowly, we are realising that purchasing more don’t make us any happier. We are realising that gifts-giving is not connecting us with our friends and family. We are realising that materialism actually departs people. We are realising that gifts, excessive consumerism, useless items are creating a huge damage in our environment. Honestly – how many times did you receive a gift which you have lost in the next couple of days? How many times have you received a gift which was actually very meaningful and useful for you? Gifts are many times only dust catchers. We place them and often, after a while they finish in the trash. We are using limited natural resources for useless items which finish in the garbage. More often, the gifts which we quickly pick up are nothing else than plastic. These gifts will have a long time living, but not in our homes, instead they will finish in our landfill. Let′s make it clearer – gifts are not bad choice in all terms. You can make a gift at your home, for example bake cookies or create a pillow from your old T-shirt. Gifts don’t have to be always new. Give a second-hand gift, your good old book which you have already read or a hat which you are not wearing anymore. That kind of gifts are more personal and they remind us of the person who gave it to us. But, if you still want to buy a gift, at least make sure it will be useful. 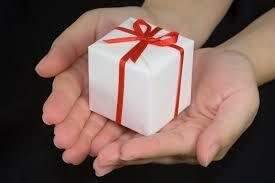 I believe it is not about giving gifts, it′s more about GIVING itself. Instead of buying a gift, give some of your time and prepare a dinner, spend some more time together and have a good talk, play a game which everyone loves, go for a walk…Give your knowledge and teach your friend a new skill. Give your energy and dance with your friend the whole night. Give your creativity and prepare a super cool event. Giving is sharing and sharing is caring. In this way we will be more eco-friendly, less materialist and more close to the people, we care about. This year Dusshera, Diawli and all other festivals should be without crackers and useless gifts. Let′s focus on spending time with our families and friends. Sometimes Less is simply More. Previous Post Festival season and pollution – More noise and less celebration!